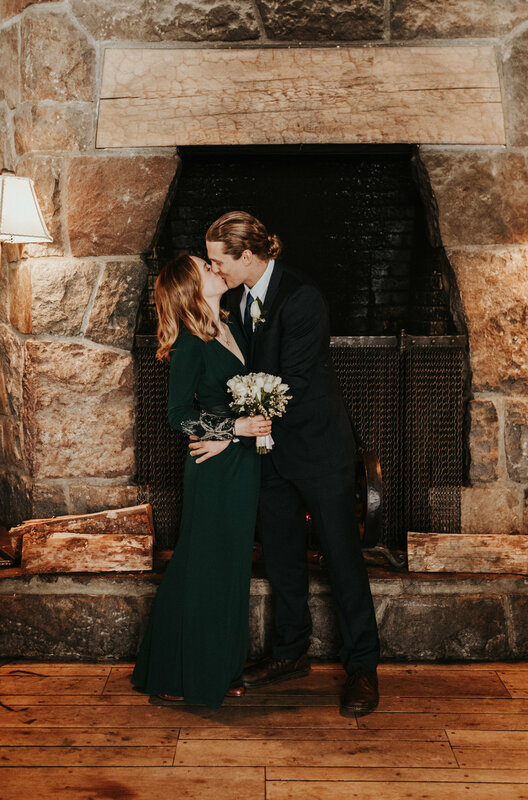 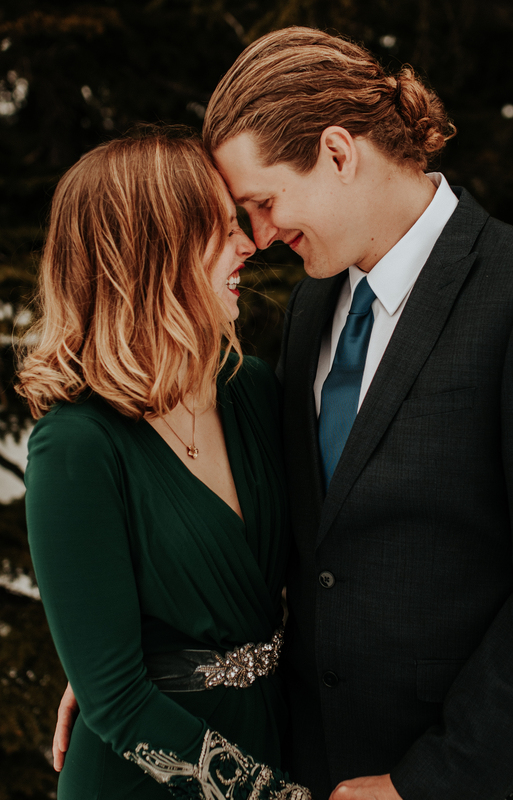 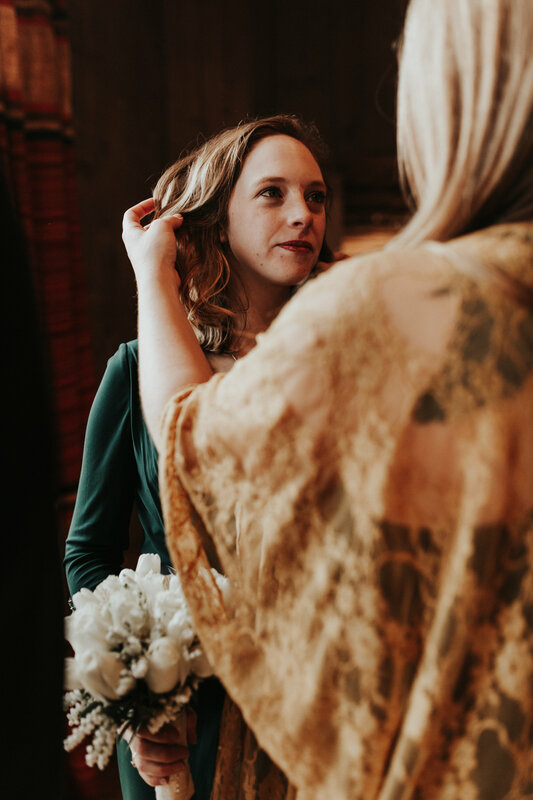 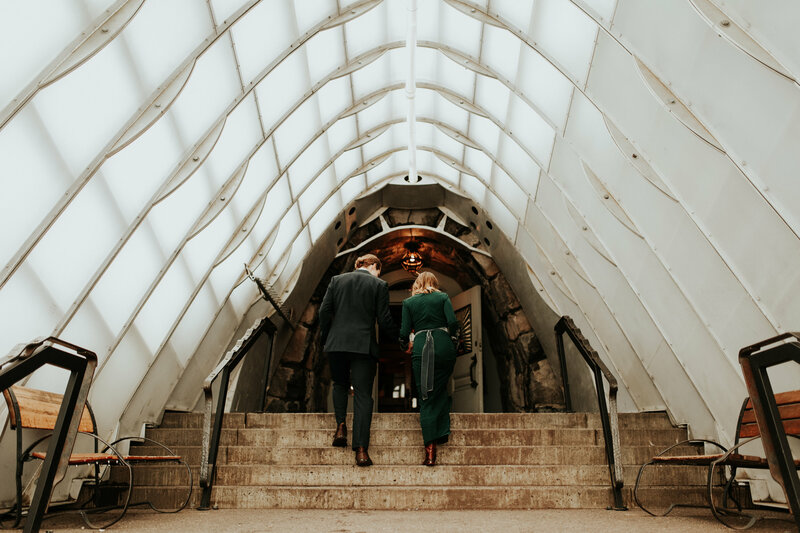 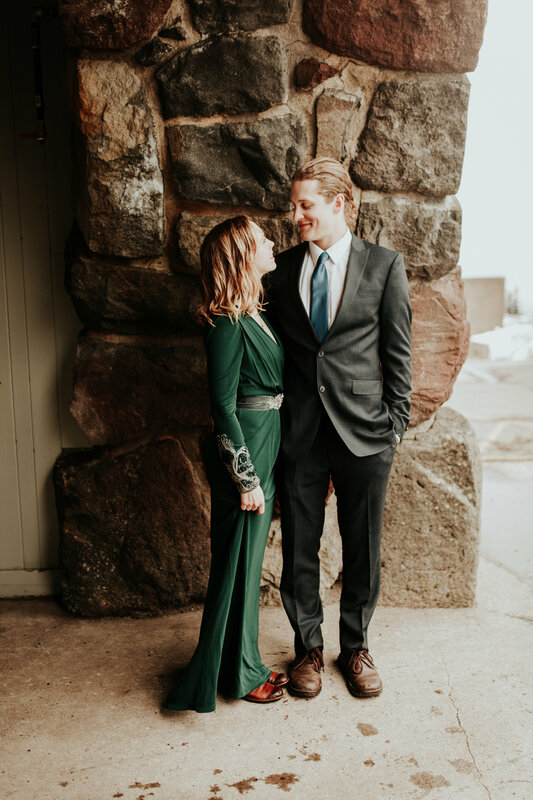 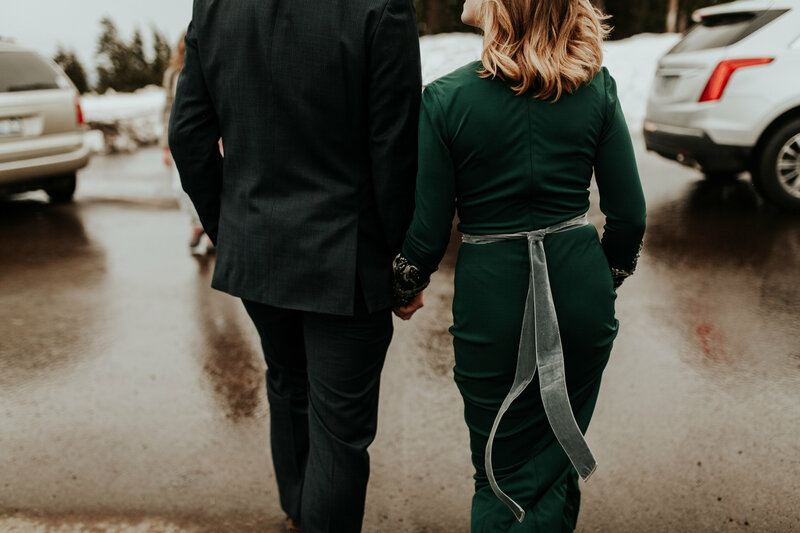 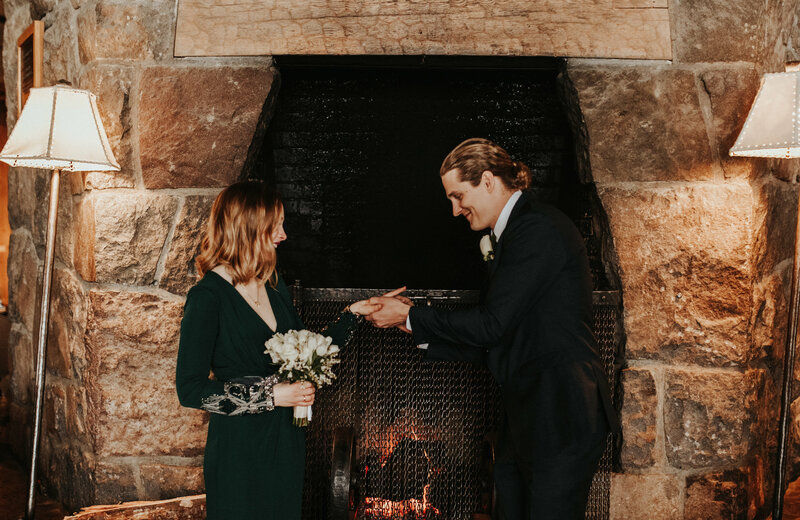 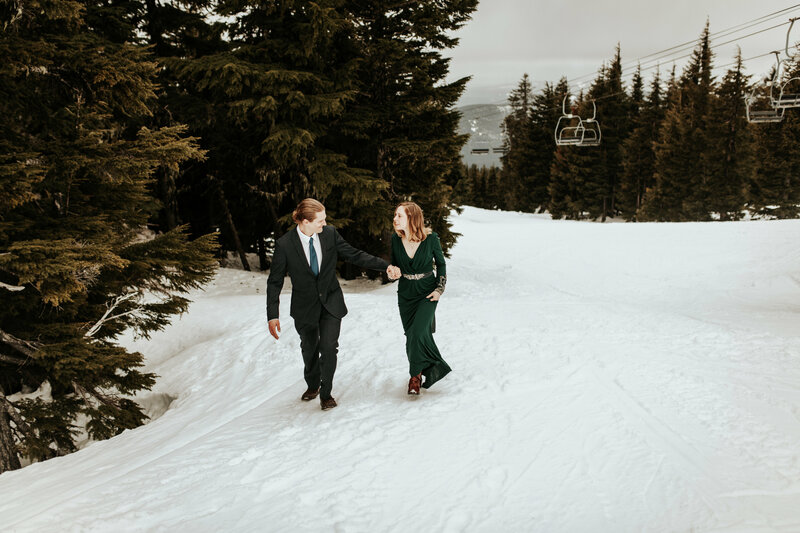 When your bride walks out in this incredible green, jeweled dress from Badgley Mischka my jaw dropped. 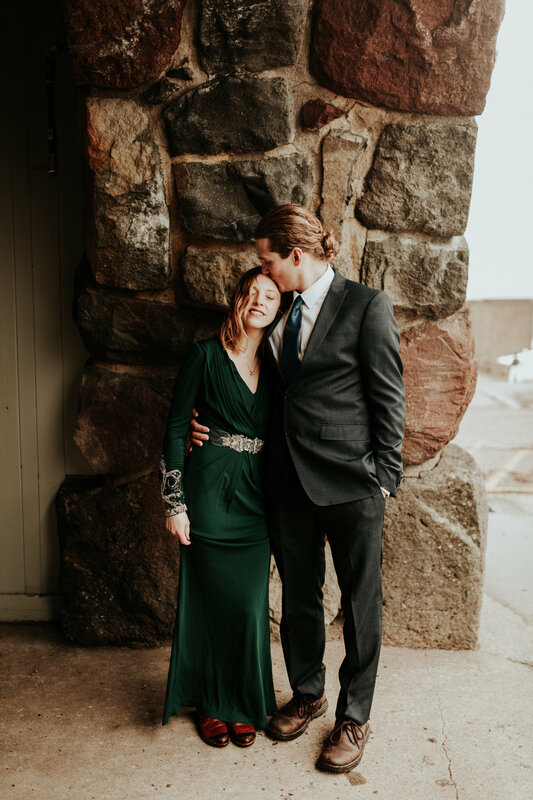 She was stunning. 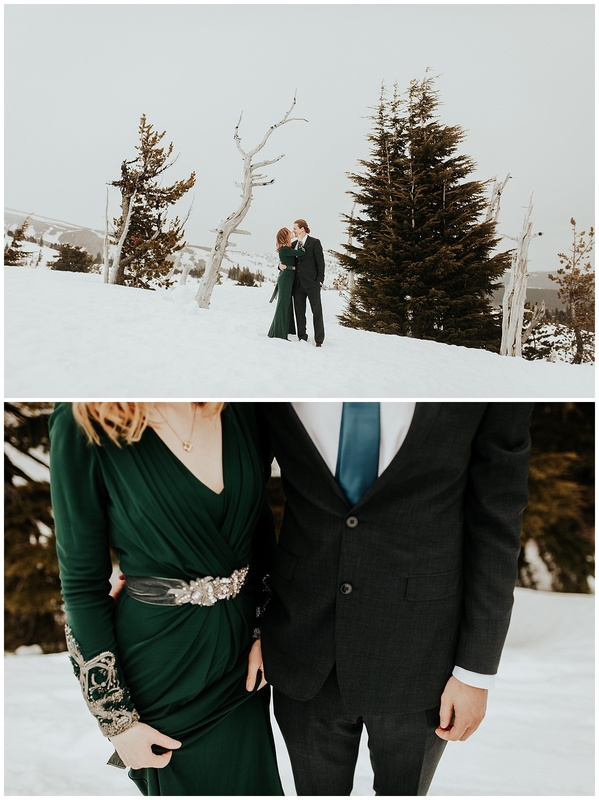 and then she went on to tell me that she found a velvet belt to match.. it just kept getting better. 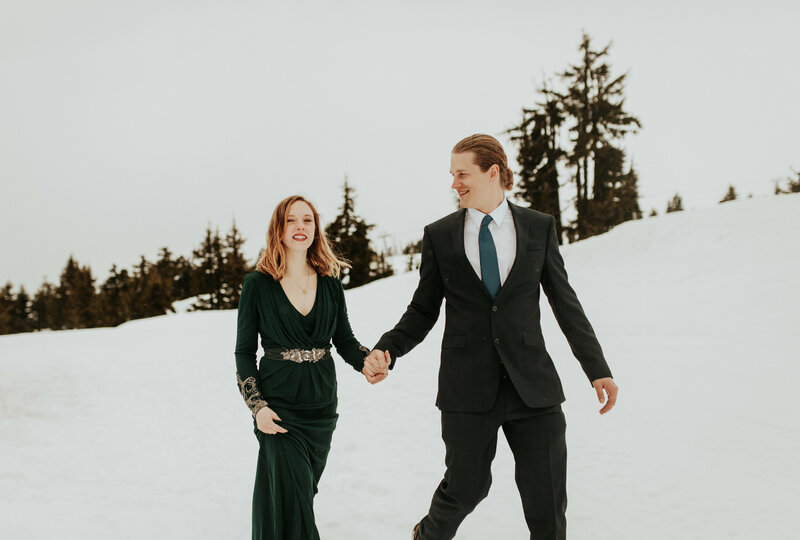 I am alllll for non traditional wedding dresses. 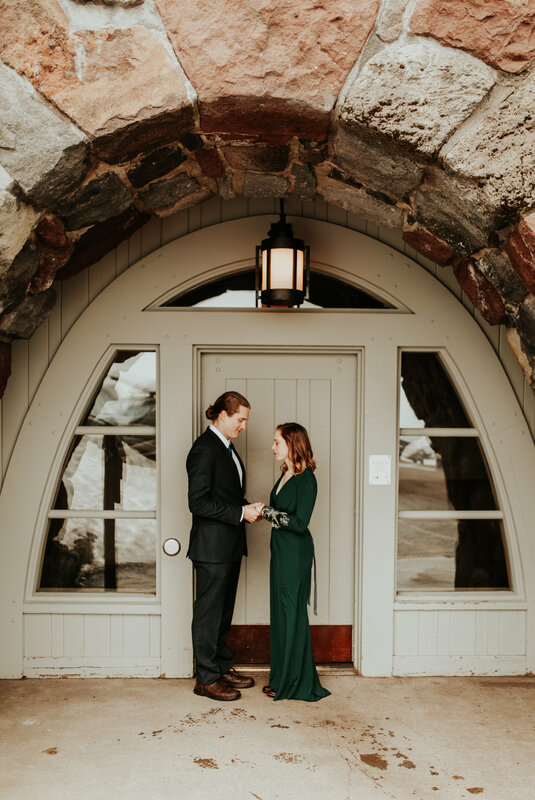 Don’t get me wrong I love the details + simplicity of a lot of wedding dresses, but you can also find unique and beautiful dresses and completely make it YOUR own without spending thousands of dollars. 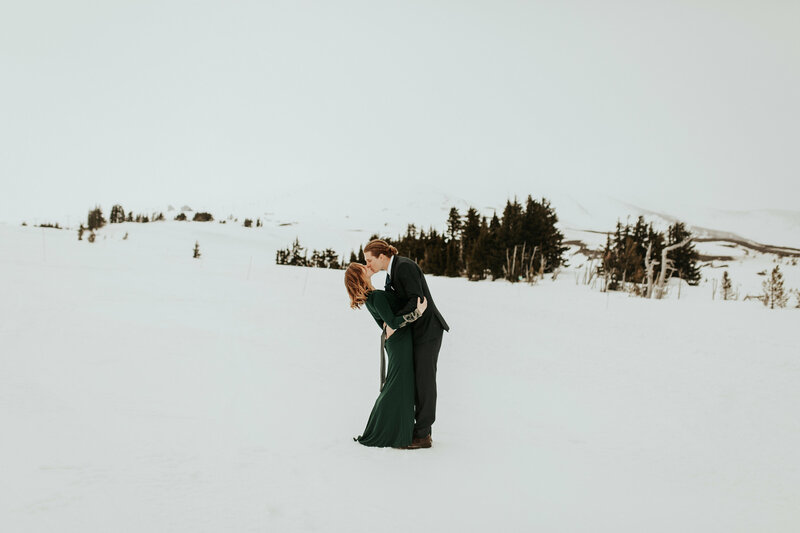 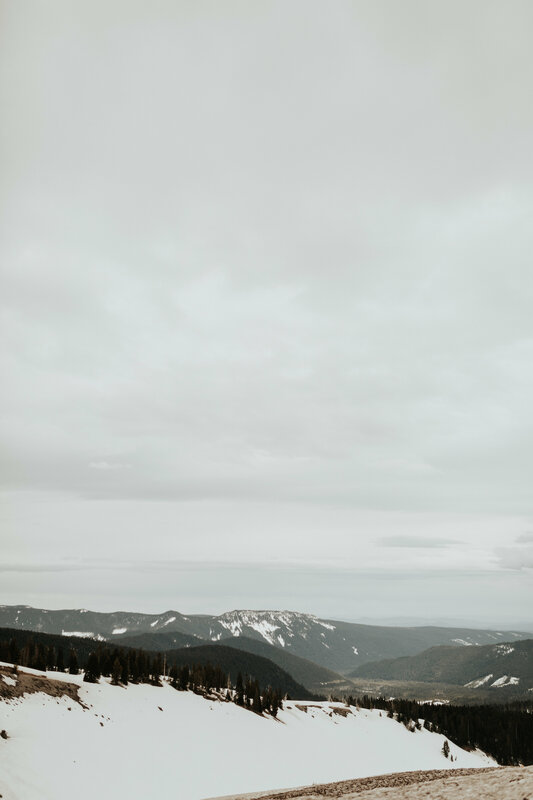 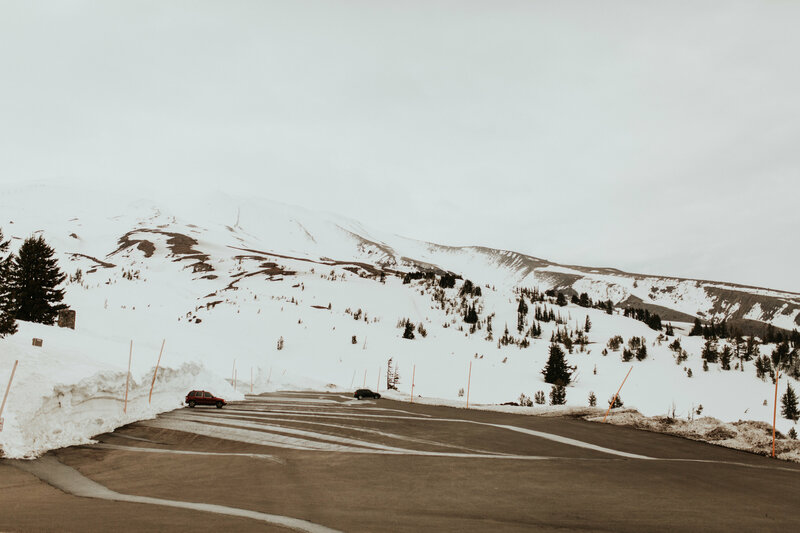 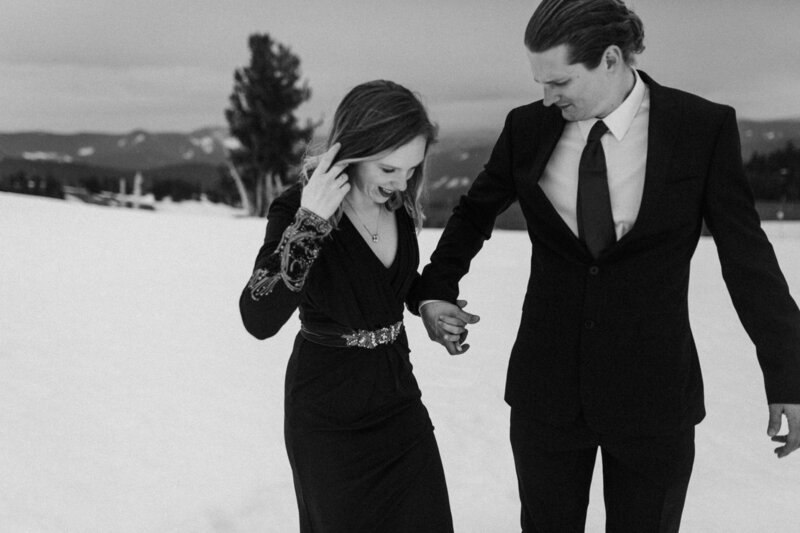 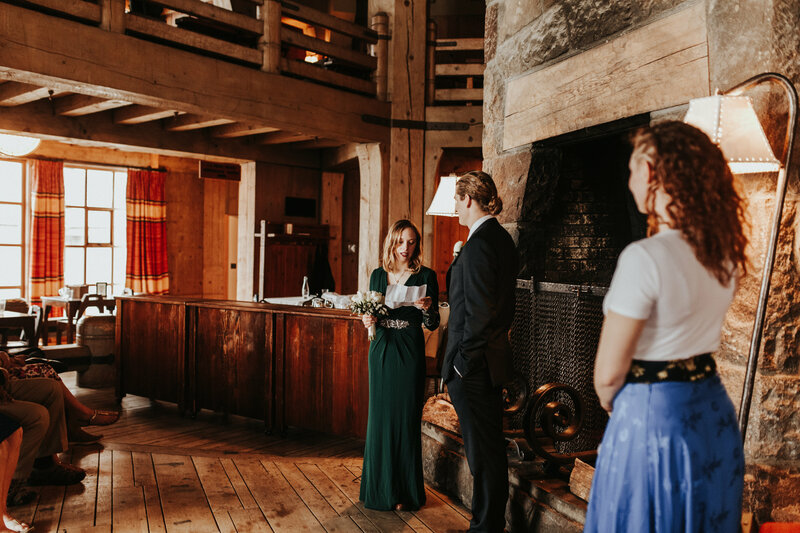 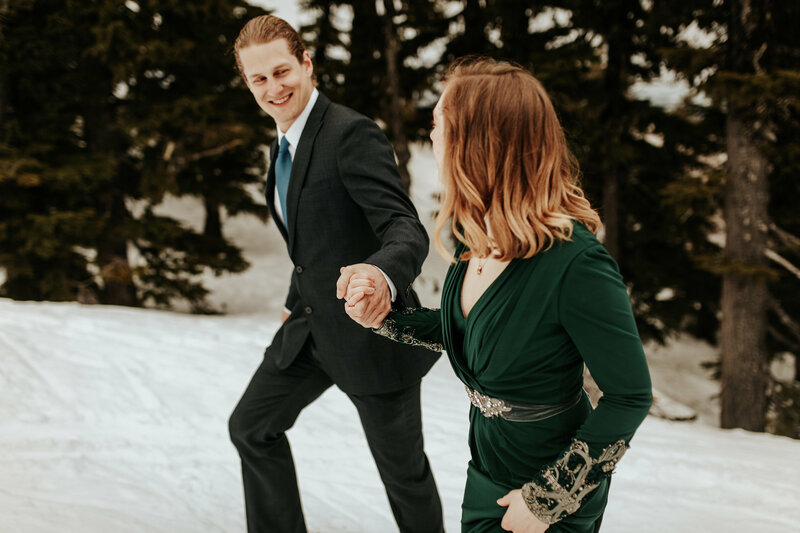 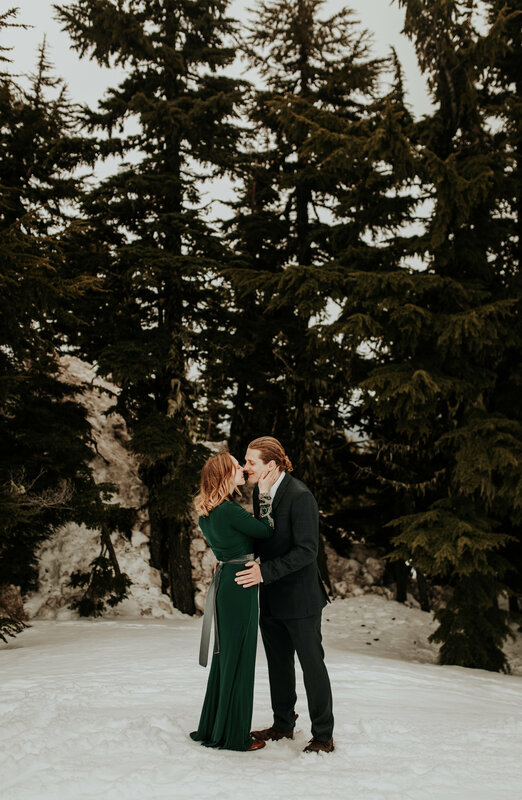 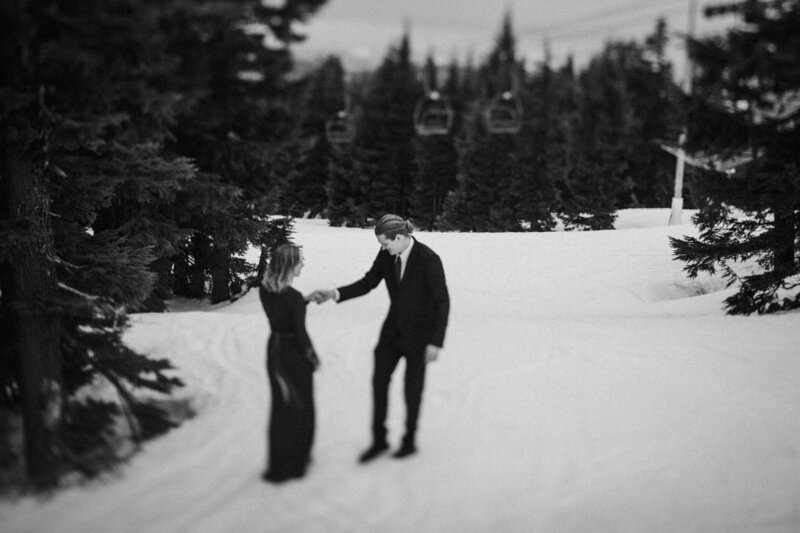 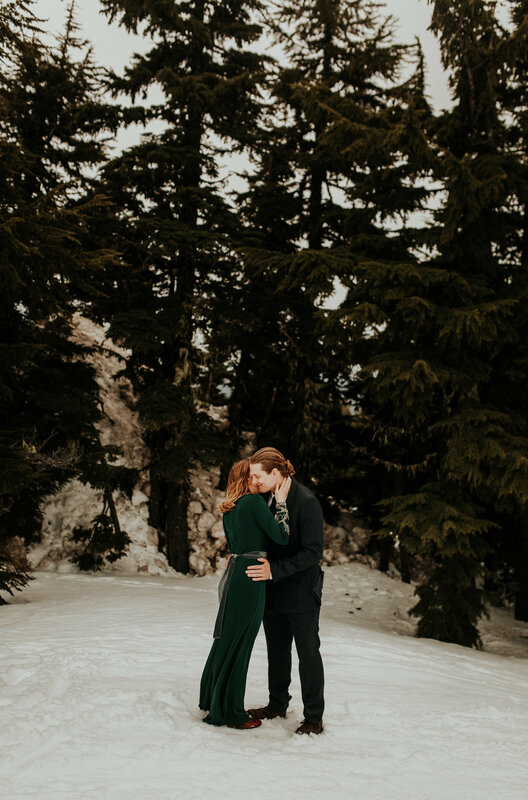 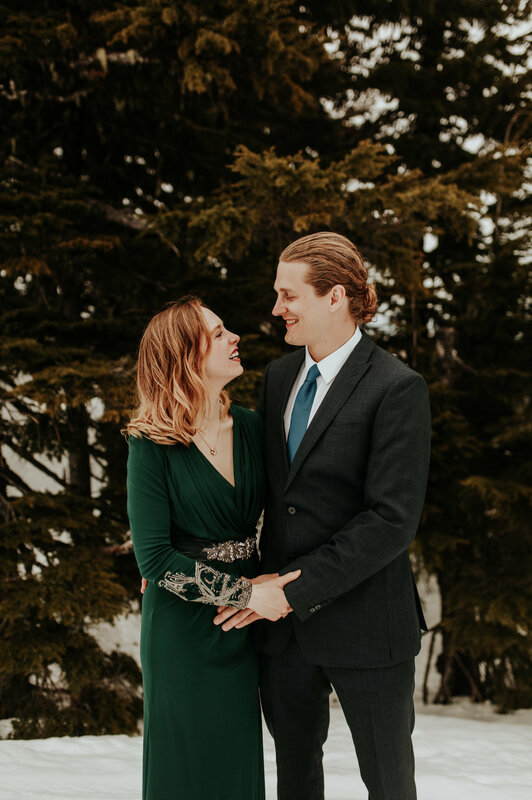 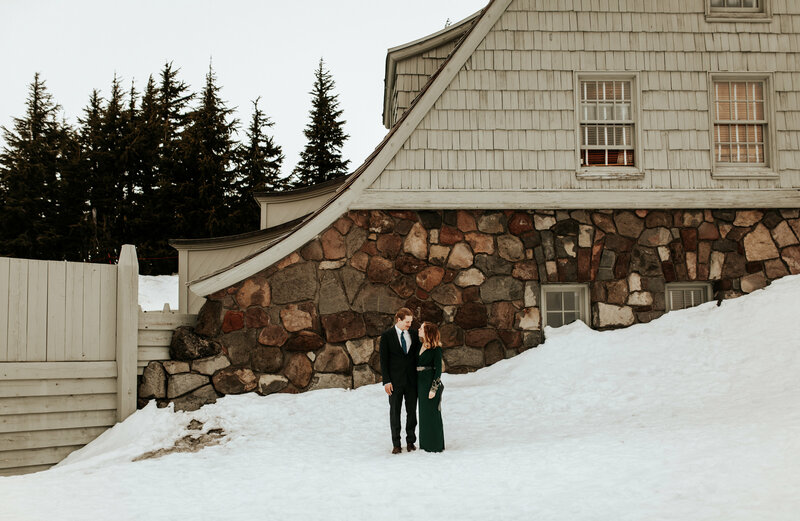 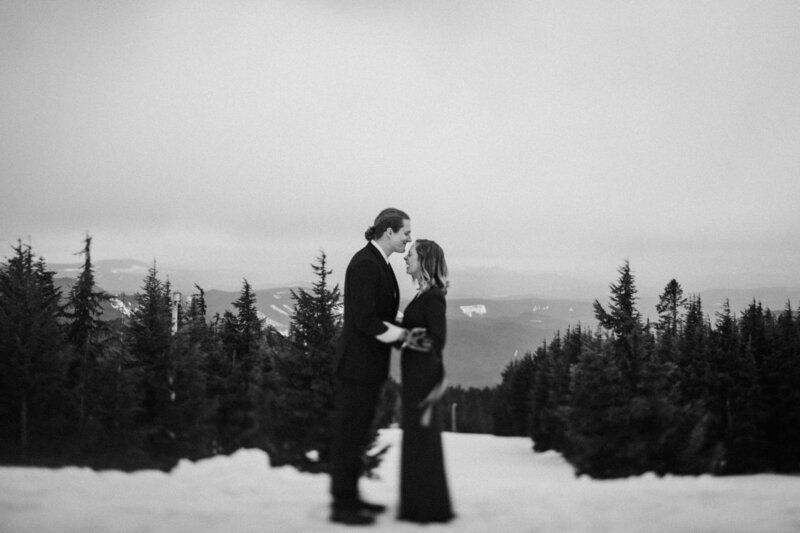 Alexandra + Michaels first look happened in the snow next to the ski lifts where Michael was that very morning. 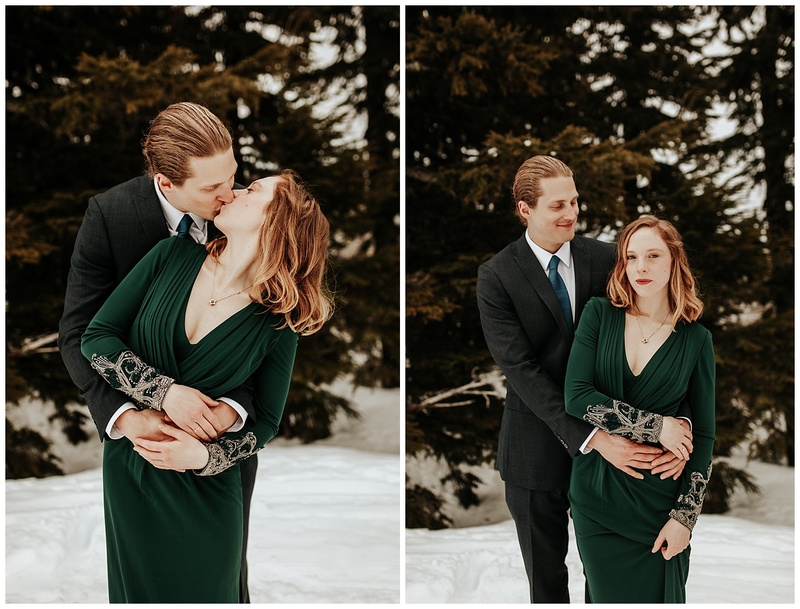 I was supposed to get some fun pictures of him and some buddies going down in their suits, but the lift ended up closing earlier than anticipated. 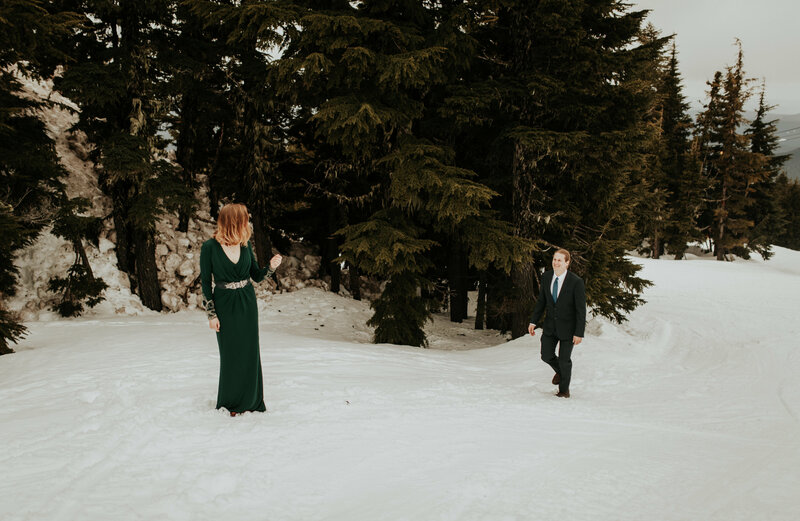 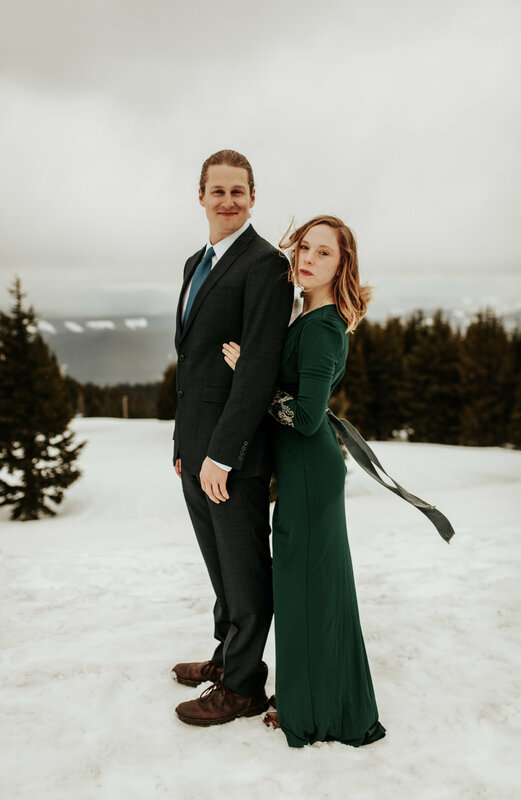 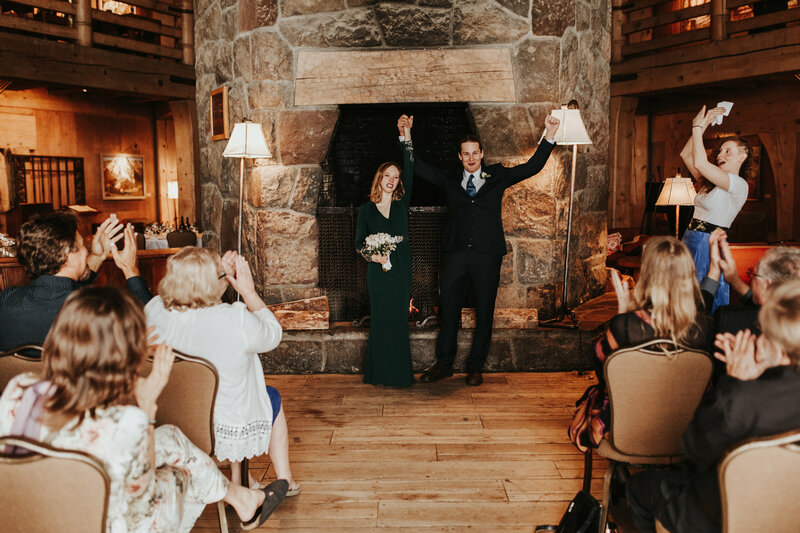 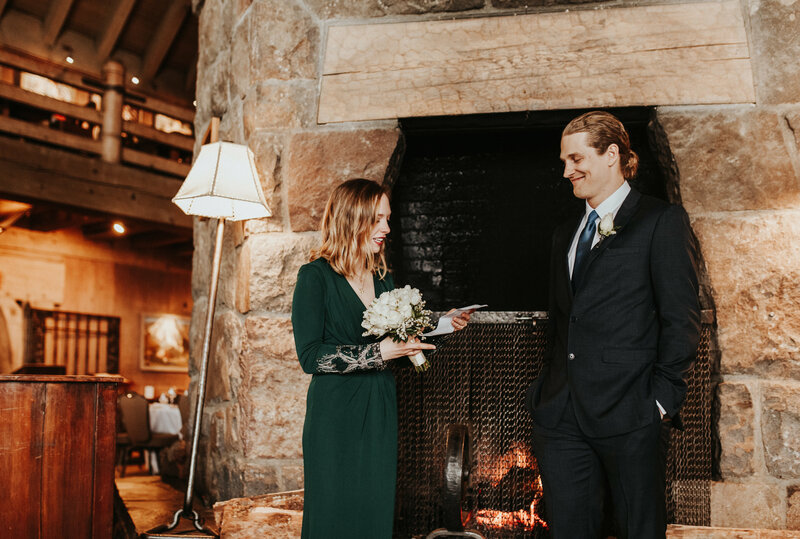 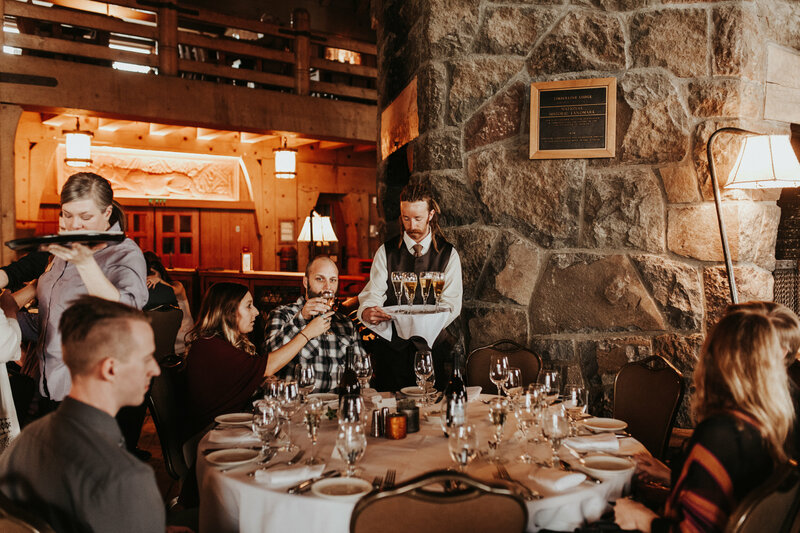 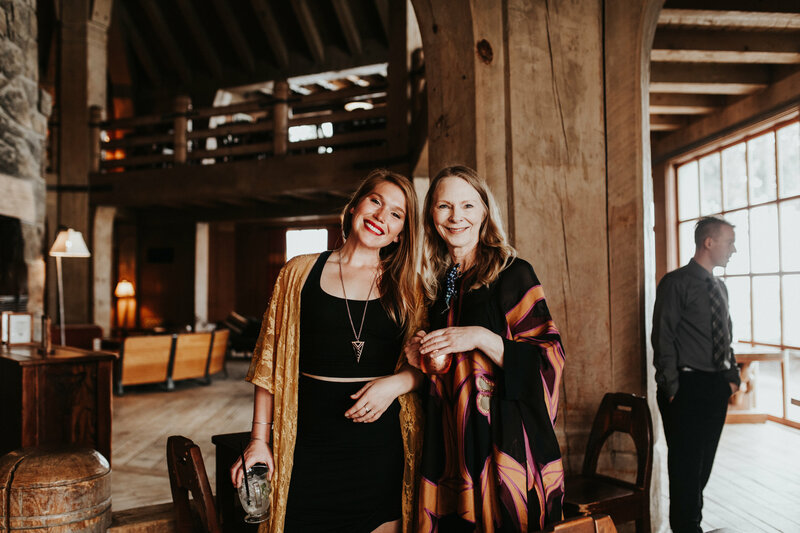 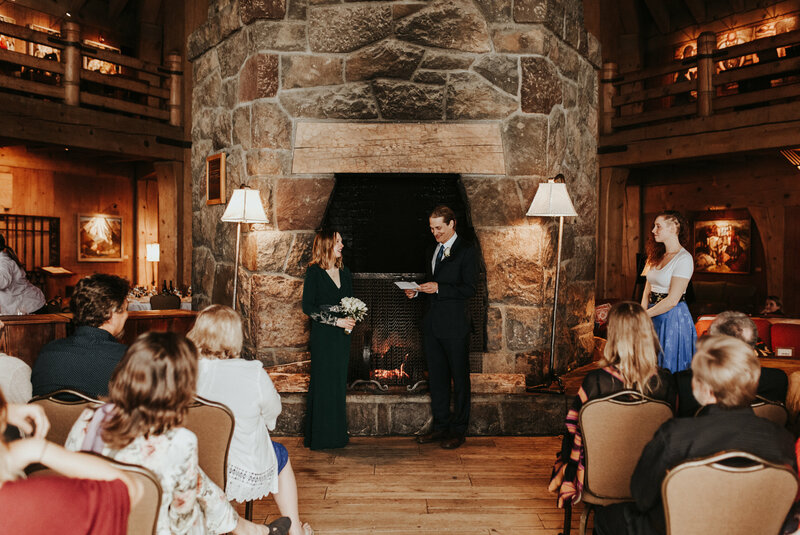 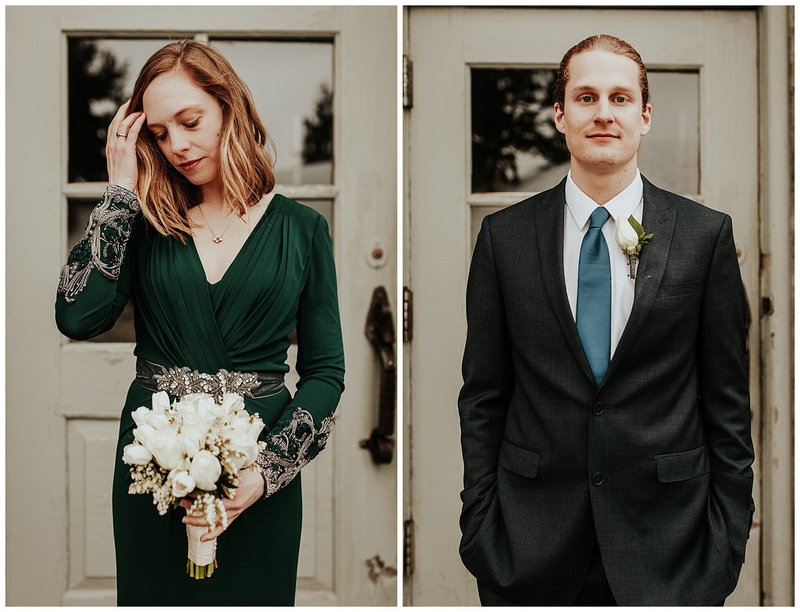 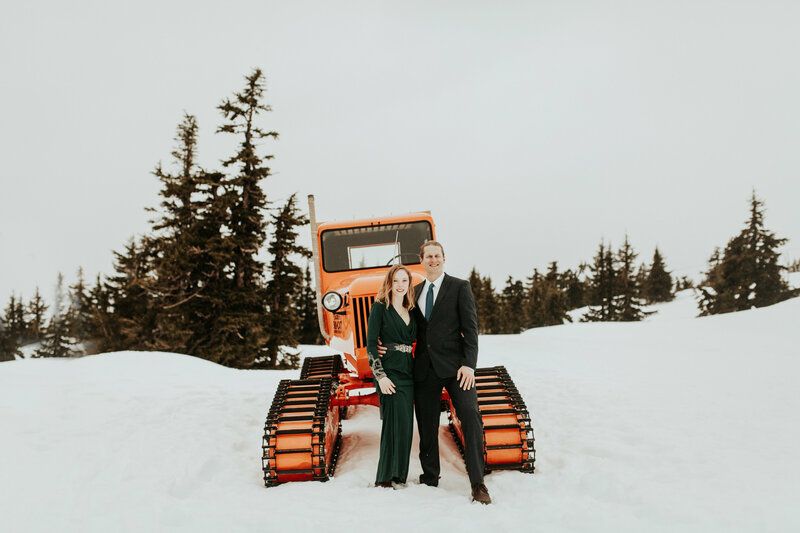 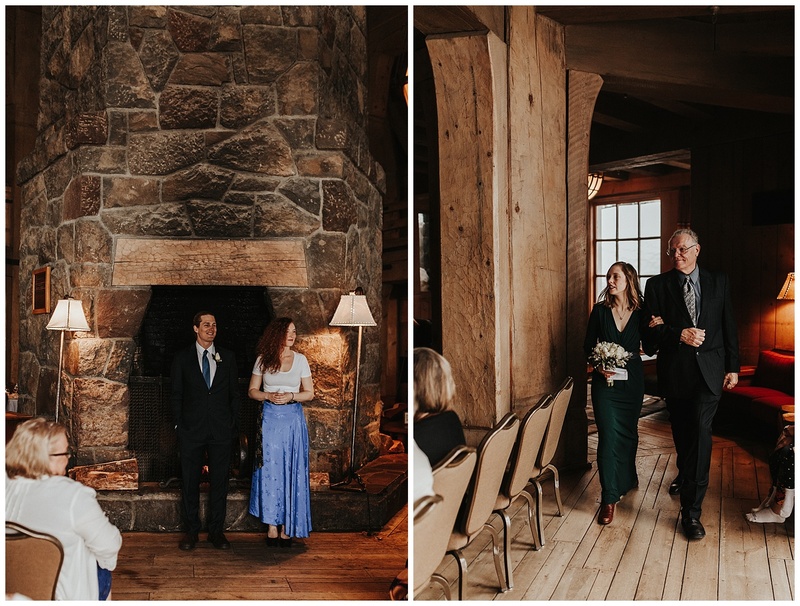 We ran around the mountain and Timberline lodge until our cheeks turned red + then proceeded inside to get these two babes married. 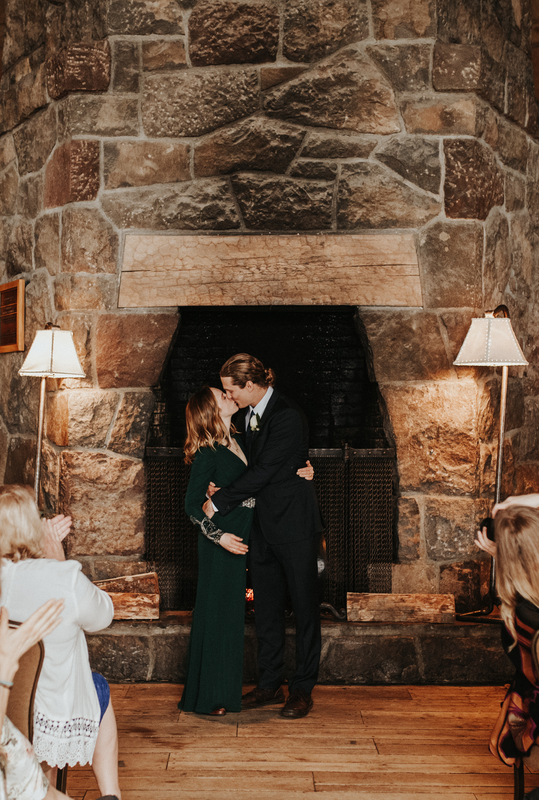 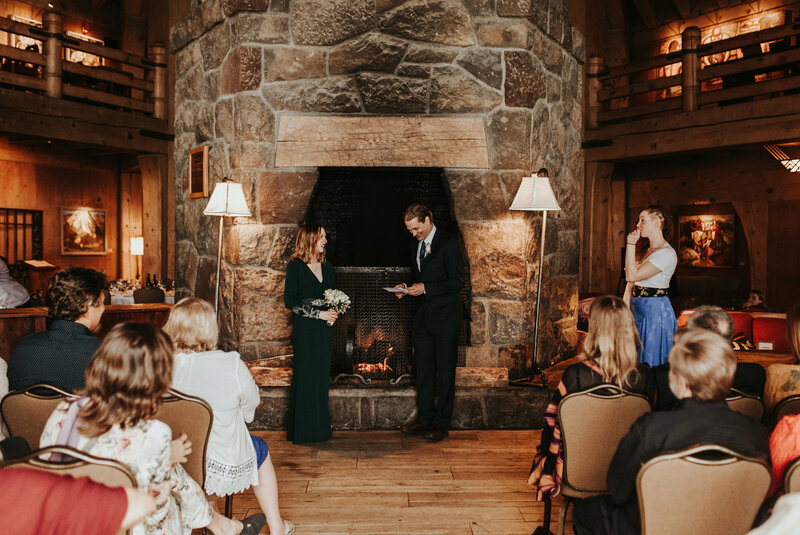 They said their I do’s with the fire burning behind them surrounded by their closest friends and family + it was perfect. 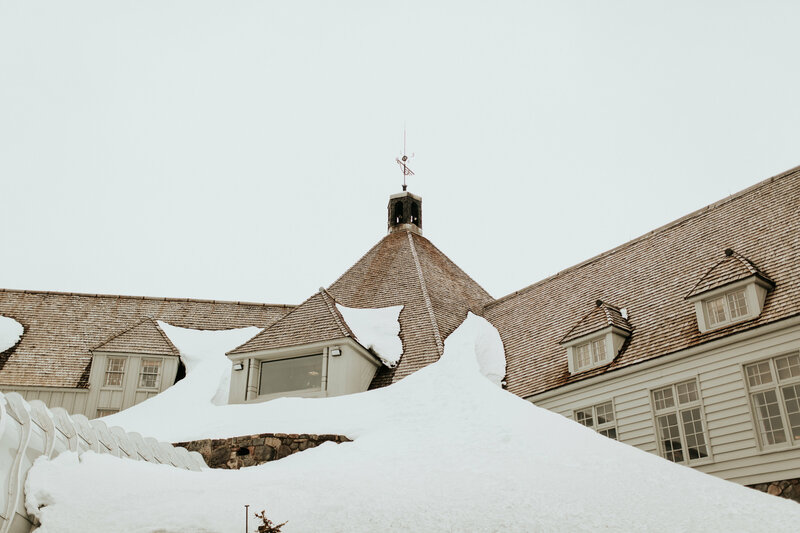 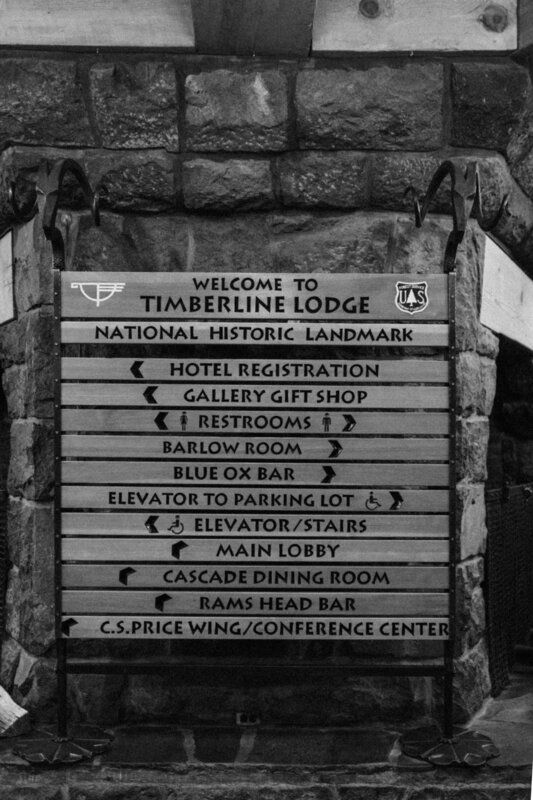 I also left this day with the best hot chocolate from timberline lodge that even went back to a few times this past winter with my fam. 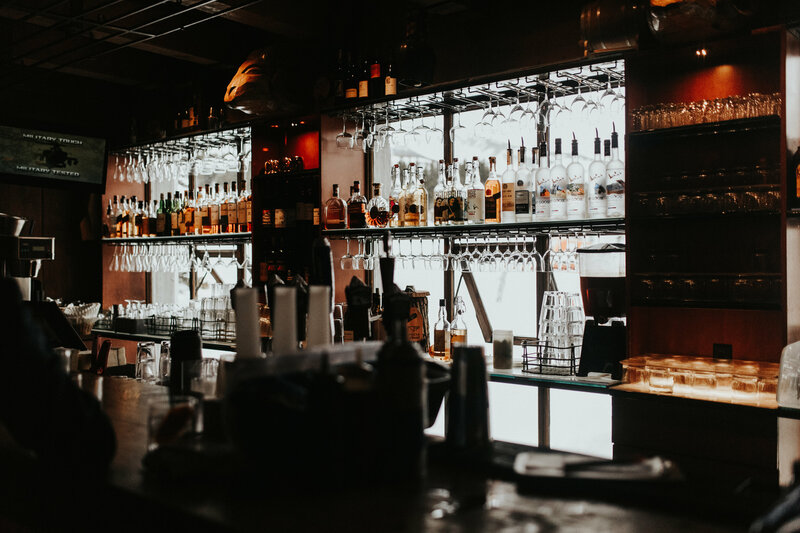 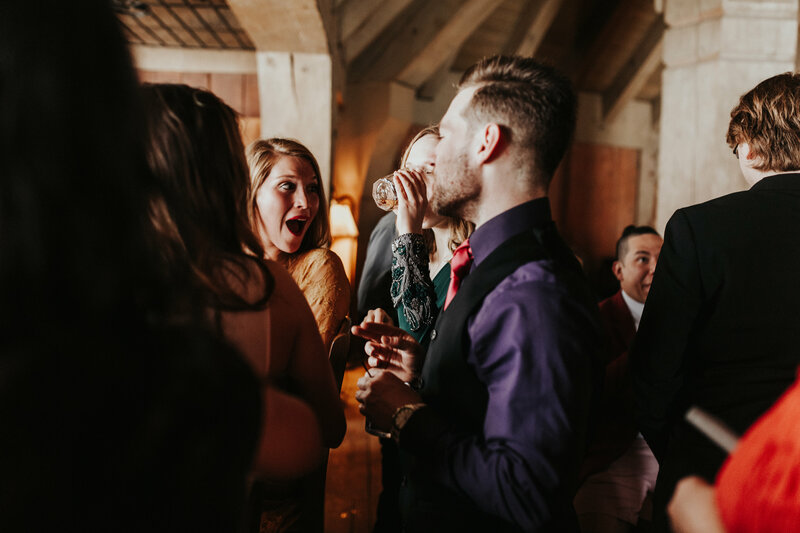 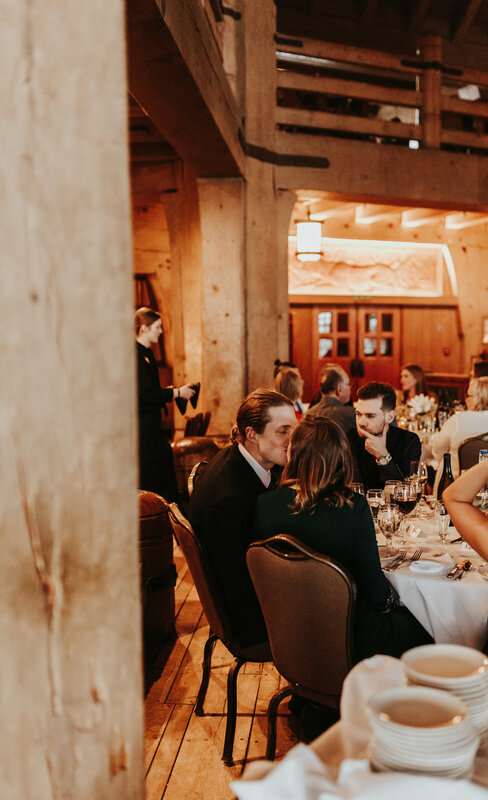 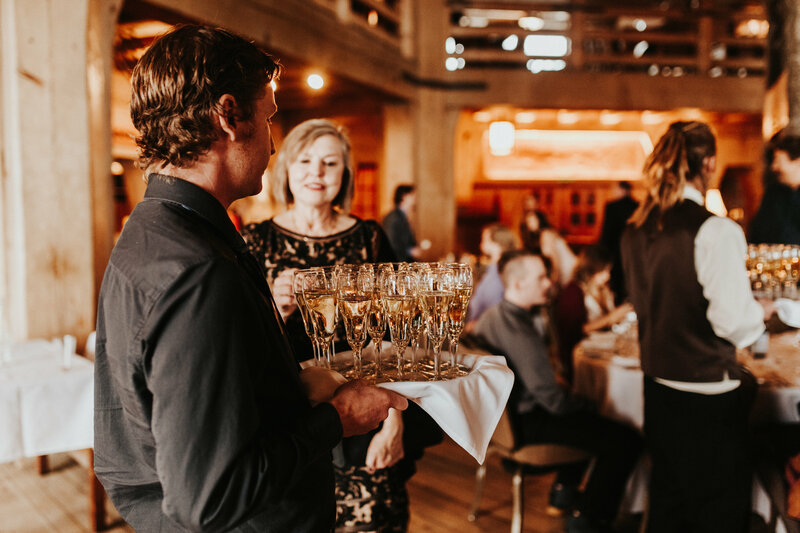 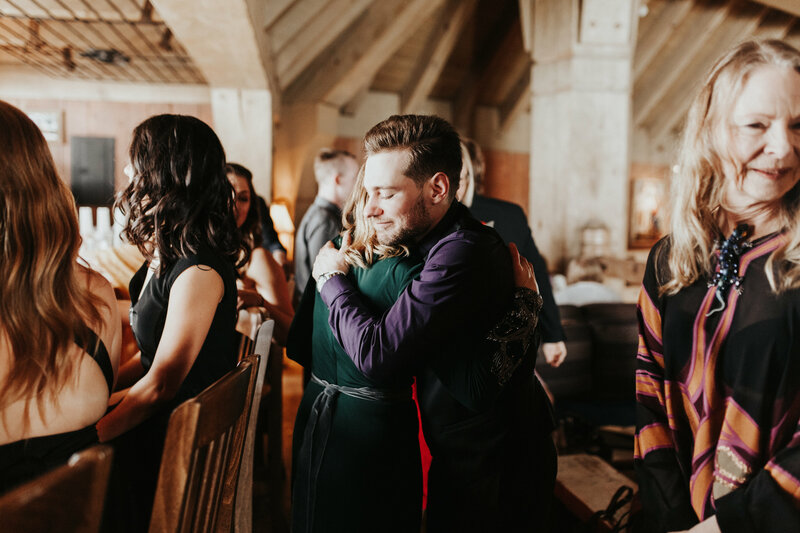 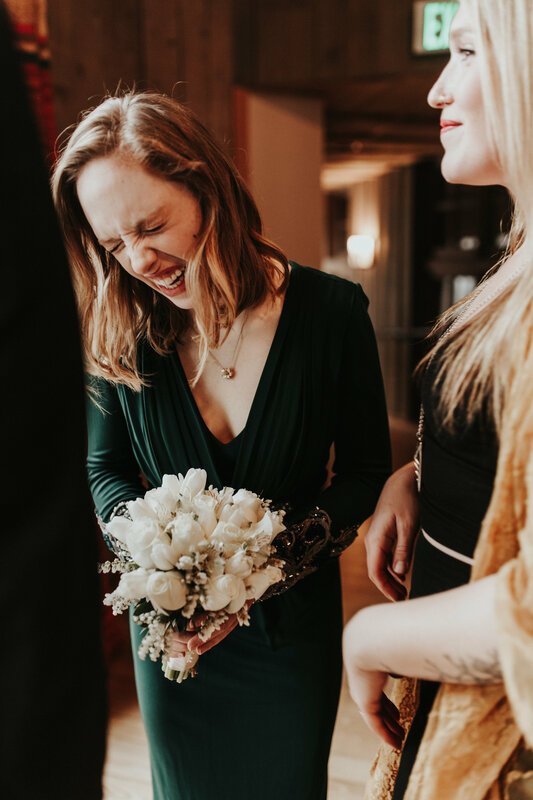 Wedding days can be such a blur some times (most times) + I whole heartedly love intimate weddings because of this. 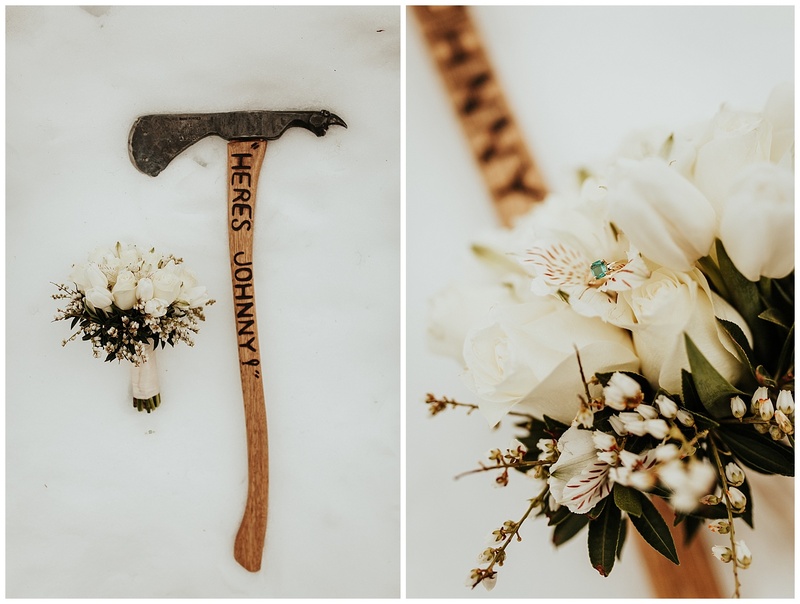 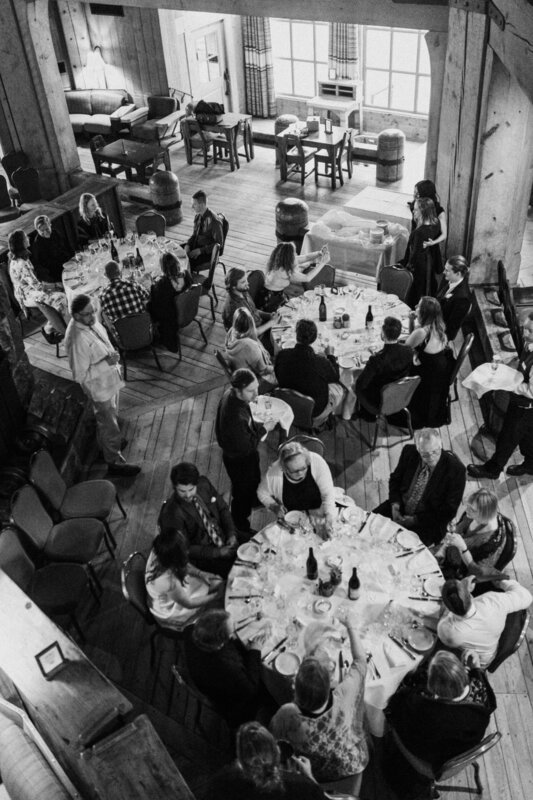 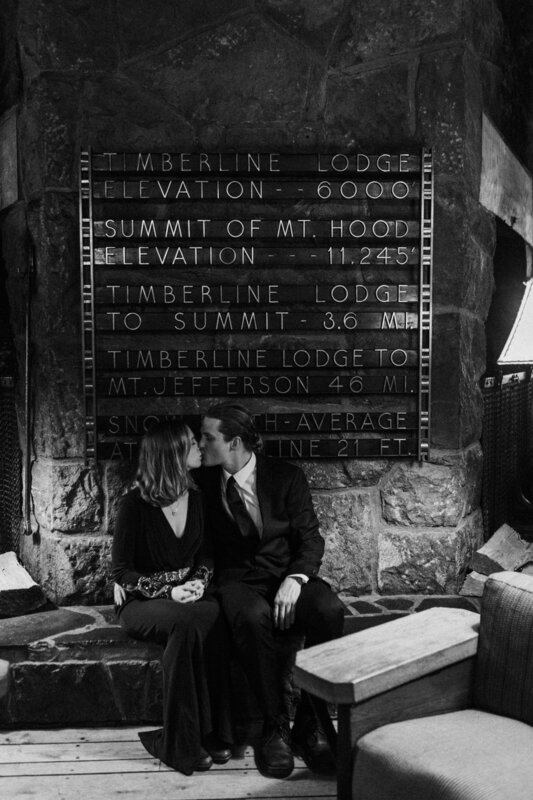 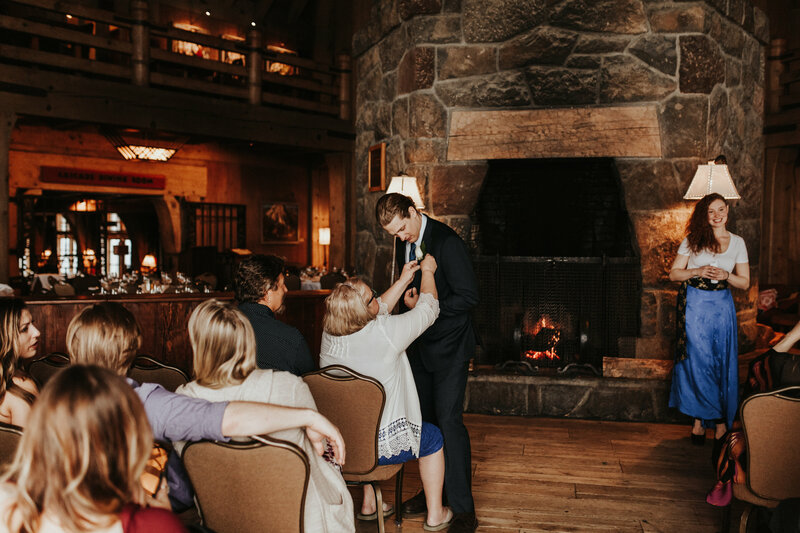 Cannot wait for more mountain top weddings.